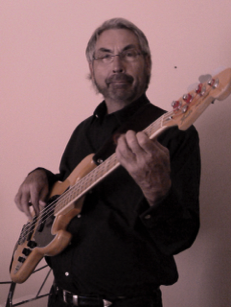 "It was 1976 and I still remember walking into a guitar shop on Broadway in Saskatoon and seeing my ’76 Fender Jazz hanging on the wall behind the counter. After my Mansfield, the long slender neck, the wide mother-of-pearl inlays, and that blond ash body was something that I just had to have. I grew up on a mixed farm in Naicam, Saskatchewan. My dad raised Herefords but also had a closet full of musical instruments that he had played. His Harmony guitar interested me the most and he arranged for me to take a few lessons in town. There were some good guitar players at the private high school I attended and we would spend many evenings playing and singing in the dorm rooms. 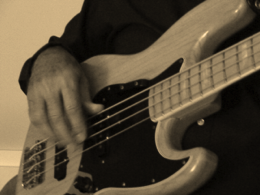 From that Christian setting I ended up on the road for two years with gospel bands where I started playing bass. 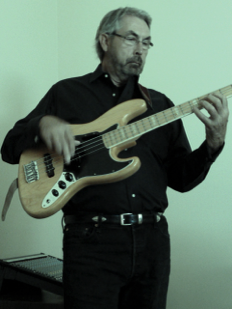 By now music had its fingers embedded in me and so I registered at the U of S to get a music education degree. One degree and music teaching led to another degree and more teaching and now have spent my career teaching music and directing choirs. 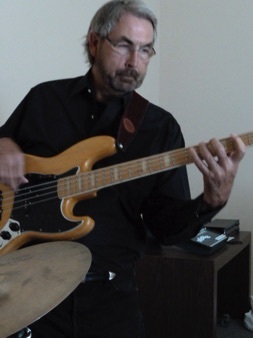 Throughout the years of teaching, I always found opportunity to play my Fender and have played many styles in many settings. 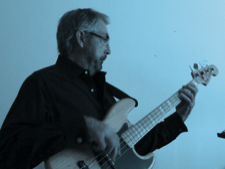 Country music doesn’t leave you if you are a farm boy from Saskatchewan so being the new bass player with Street Legal is great."